Another SharePoint Saturday Charlotte happened yesterday (8/26/2017) and, IMHO, it was a great event. Thank you goes out to all of the speakers, sponsors, and event organizers! A lot of behind the scenes work went into pulling it off. Carolinas HealthCare System (CHS) is one of the largest non-profit healthcare systems in the US, with over 60,000 employees. 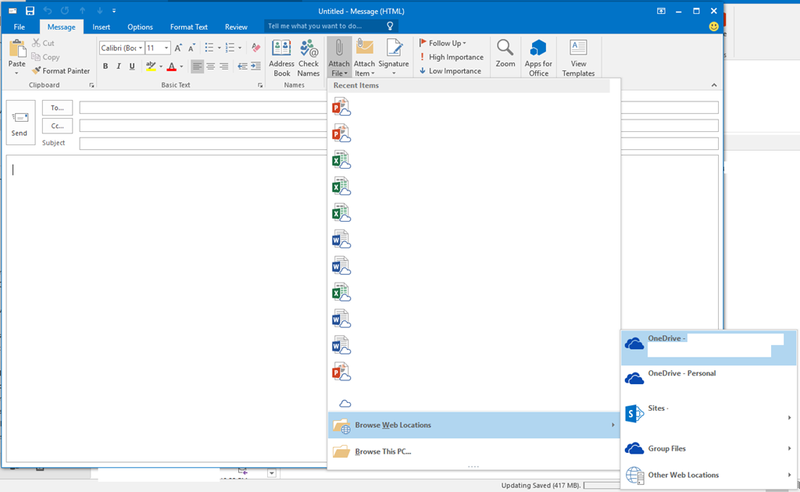 In the last four years, CHS has upgraded Exchange and SharePoint to Office 365, which has introduced changes for both end users and the IT department. This session will cover the CHS upgrade / migration, how governance changed, and what operational changes have occurred along the way. Attendees will walk away from this session with both specific governance tactics they can implement, as well as, the reasoning behind them. …here’s my PowerPoint slide deck. I had way too much content, and will be reorganizing/focusing this presentation for the next conference I’m delivering it, the SharePoint Engage Conference in Raleigh. If anyone has questions about our Office 365 (Exchange / SharePoint Online / OneDrive / Yammer) experience, either around migration or adoption or operations, please feel to reach out to me via Twitter, LinkedIn, or email (kdjones74@gmail.com). A few weeks ago I came to a decision that was a long time coming. I finally decided to dump my beloved Windows Phone by Microsoft in favor of Google’s Android. 3) Samsung i730 – Wifi! 4) HTC Touch Pro 2 – Nice keyboard! 5) Nokia Lumia 710 – Windows Phone 7! 7) Google Nexus 5X – Android! Plus, my family jumped on the Windows Phone band wagon when I got my wife and both of our kids Lumia 520s. The 520 was an incredible bargain. Instead of buying the kids a iPod for music, we got them phones that could do music plus games plus be a phone! AND the 520 was a quarter of the price of the lowest iPod touch – even more of a crazy gap when compared to an iPhone. So, why? Why not stick with Windows Phone/Mobile? It simply came down to one thing: apps, or more precisely, the horrendous lack of apps on Windows Phones. Being a long time Windows phone user, I’ve never really had a huge app selection to pick from. Going from Windows Mobile 6.5 to Windows Phone 7 in 2011, the app selection was much improved, but my basis for comparison was the previous version of Windows Mobile, which had practically no apps. My perception started to change when I bought an Android tablet for my family (Nexus 7 from 2012) and my daughter got an iPod touch 4th gen (2012). Apps would come out on iPhone or Android, but only the highest profile apps would make it to Windows Phone. Somewhere around 2013, the joke started to be that you couldn’t get the name brand app on Windows Phone, but you could get a knock off. Some of these knock off apps were quite good (Disney Expedition since “My Disney Experience” isn’t available), but others were bad. Sometimes those independent knock off apps would suddenly quit working because the service they were tied to had changed an API. I tried to make up for the lack of apps by using the web browser in the phone, even going so far as making short cuts to certain sites be a tile on the home page (Facebook being one). However, most of those mobile sites don’t compare with the full app experience. AND then the next shoe dropped: companies started dropping support for the few apps that they had published. My LiveStrong app that I used to track my weight daily would no longer sync to the web site. This was an app that I had purchased (not a freebie) and that company stopped updating it and at some point they updated their web site in a way that broke the Windows Phone app. I also started reading more and more online about banks or other companies dropping their apps as well. I didn’t use most of them, but I started seeing the writing on the wall. The next big news was Windows 10 and how it was going to save Windows Phone. Microsoft has come up with a way to write an app for the full PC version of Windows 10 and have it work on the phone as well. Great! That’ll close the gap, right? Well….turns out that developers have to write their app in a certain way, plus make additional (Microsoft describes as simple) changes to make it work on the phone. Even though the changes are simple, companies are still not going to do it. Plus, most companies don’t put an app out for Windows, instead relying on their full web site (think shopping, banking, etc.). Windows 10 Mobile has another issue for me: it would require purchasing new phones and none of the Windows 10 phones look that appealing. And the thought of spending several hundred dollars on a phone that is still lacking apps is crazy. This whole lack of apps reminds of previous platform switches I’ve done in my life: starting with my very first computer, a Commodore Vic20 (everyone had a Commodore 64), or later having a Tandy Color Computer (loved that thing, but everyone was moving to IBM PCs), and in the 90s I didn’t like Windows 3.1 so I bought a Mac (Perfoma 6116CD running MacOS 7). The Mac versus Windows debate of the late 90s reminds me a lot of this phone debate. Mac users (clear minority) would say that they didn’t have a lot of apps, but the apps they had were good. Now, it’s the Windows Phone crowd saying that. I’ve been leaning Android for a long time because I like the hardware/price options. There’s no such thing as a low end iPhone in my opinion. Buying four iPhones would have given me sticker shock! Plus, Paul Thurrott and Mary Jo Foley, two Microsoft beat reporters that I follow closely via their articles and podcast (https://twit.tv/shows/windows-weekly) have recently decided to not use Windows Phones as their daily phones. Paul’s published several articles about “Android for the Windows Phone guy” that have been helpful. I’m still a big Microsoft fan (I make my living supporting SharePoint/OneDrive/Office 365) and Microsoft has been publishing a lot of apps first on Android. Plus Android being open allows more customizations that I might find useful and will allow me to tinker somewhat with it. AND with the big news of Microsoft purchasing Xamarin, I can write apps for Android (I haven’t tried this yet, so it’s mostly theory for me…) using Visual Studio and C#. Nexus 5X and Google Fi: I signed up for Google Fi and got a Nexus 5x through them. The phone was only $240 and the monthly phone bills are cheap. Ting for the wife and kids: For now, they are using their Windows Phones until we can replace them with Android phones. I switched them to Ting because our phone usage is pretty moderate. For hardware, my 11 year old son is happy with my hand me down Lumia 925 (big step up from his Lumia 520) and my wife is fine with her 520. My 14 year old daughter though is quite unhappy with her 520, so she’s probably going to be the next one to get upgraded. She’s always raving about the iPhone, but when I got my 5x, she said that it was “good enough”. Then I showed her the finger print reader, the apps, the apps, the apps – and now she wants one instead of an iPhone. Our T-Mobile phone bill was $120 and we got four lines (unlimited talk/text) and 2.5 high speed data, which is a pretty good price compared with other cell companies. However, our newly combined Ting and Google Fi service is going to be less than $100/month. BTW – kudos to T-Mobile for making it extremely easy to move our phones to another provider. NO hassle what so ever. We’ll see if our data usage increases with phones that have apps, but our first month is almost over and we’re doing well. I recently upgraded my wife’s MacBook Pro by replacing the original hard drive with an SSD. The performance improvements were just as good as when I did this same upgrade for Lenovo laptop in the family last fall. 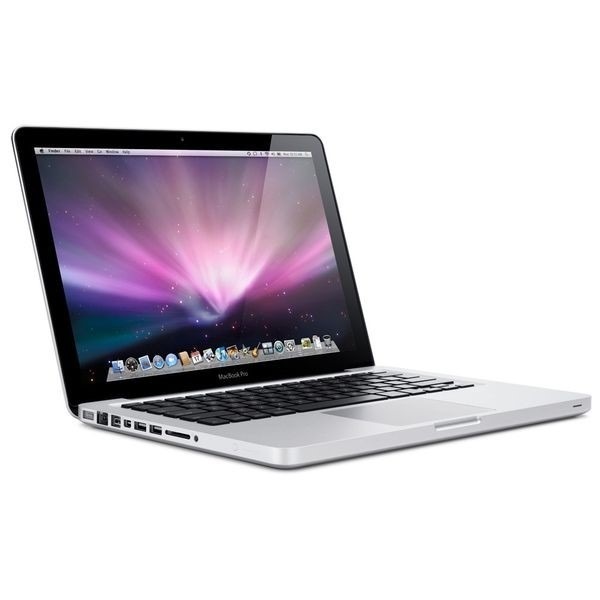 Her MacBook has 8GB RAM, a 2.3 Ghz i7 processor, and a 15” inch screen. It was a low end MacBook Pro when we purchased it in July 2013. 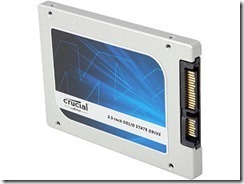 The SSD was another Crucial drive from NewEgg. The key measurements for my wife was the amount of time it was taking to launch applications. I timed Safari and Outlook, since these are her primary apps to use and the results are amazing. In fact, she laughed at how fast they launched when I first showed her. One of the consultants working on a project for us recently took a week off. 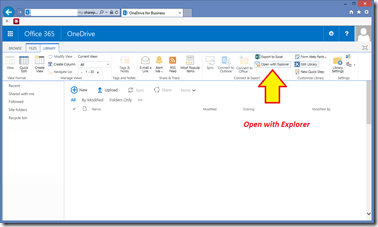 When he returned, he found that our SharePoint Online sites in our Office 365 Tenant no longer had this file: /_layouts/15/MicrosoftAjax.js . However, he still saw the file on other Office 365 tenants that he had access to. 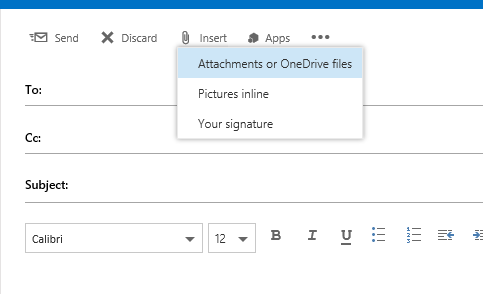 We were glad they had a work around ready, but this is yet another example of an undocumented change in Office 365. Luckily for us, our project had not gone live yet, but if it had, or worse, if we had built several solutions referencing this file, we would have had outages to deal with. After writing this blog post and almost closing the ticket, I decided to post the same information on the Office 365 IT Pro Yammer network. I received a reply from one of the Microsoft PM’s stating that removing this file was a mistake. I then shared that Yammer post with the support engineer and Microsoft restored the file and admitted that removing it was a mistake! A couple of weeks ago, I presented How Carolinas HealthCare System Governs SharePoint at the Charlotte SharePoint Saturday and I had a great time. The people who attended my session asked lots of questions, which always helps. This was my fourth time presenting at a community Saturday event (SPS Charlotte 2013, SPS Richmond 2013, and Carolina Code Camp 2013) and all of them have been well organized and run. I thought it would be useful to share my team's experience introducing SharePoint governance over the last three years at CHS (Carolinas HealthCare System). We've had some great lessons learned, as well as solid and practical tips for implementing governance in large organizations. Our governance is still a work in progress, but anyone attempting to impose governance should understand that it may take years to get to where you need to be. For those interested, I've uploaded my slide deck to the SPSEvents.org site. I've also uploaded my slides to slideshare.net. 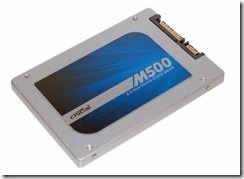 Upgrading a low end laptop–What a difference an SSD can make! I upgraded my daughter’s laptop this weekend, with some incredible results. We bought this laptop three years ago for general home use and over time it became my daughter’s. We only spent $350 on it from Best Buy, where it was one of their back to school summer specials. For the price, it had decent specs and has proven to be rather solid. 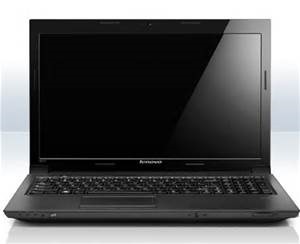 It’s a Lenovo B570 with 4GB ram, Intel Pentium processor, 720p 15” screen, and a 500GB Western Digital Scorpio Blue hard drive. It’s still running Windows 7 x64 Home Premium. Since we bought it, I’ve had some experience with machines using solid state drives (SSDs) instead of traditional spinning hard drives. The price has really come down, so I decided to buy one as an upgrade for this laptop. 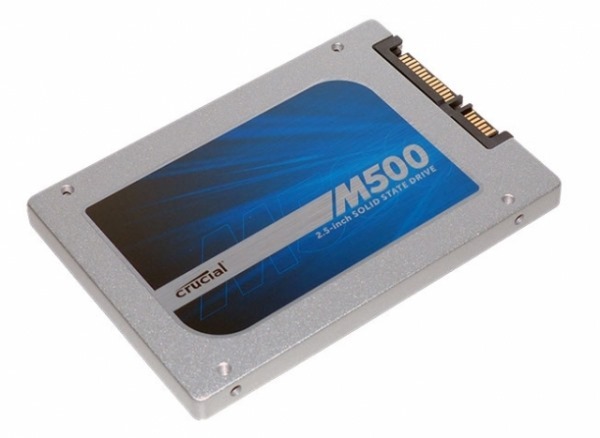 I bought the replacement drive from Newegg, a 256GB Crucial MX100 SSD. When deciding on which SSD to get, I looked at only a couple of key specs: capacity, IOPs, price, and name brand. I knew she’d need at least a 256GB drive, since it would be replacing a 500GB drive. 256 turned out to be plenty, once I cleaned off some the apps and data that had accumulated over the years. IOPS is the standard for measuring input/output operations per second – the higher the number the better. I have a Samsung SSD in my home desktop, which had a read speed of 94k IOPS and write of 35k IOPS, and I’ve been happy with it. The Crucial drive, which is a year newer and has twice the capacity, for the same price as I paid for that Samsung, is rated at 85k IOPS read and 70k IOPS write. The price was pretty good – Newegg was running a special, so I was able to get it for $99, but the price as I write this is $122. As I said, I paid around that for a slower drive with half the capacity in 2013. The last decision point was the name brand. 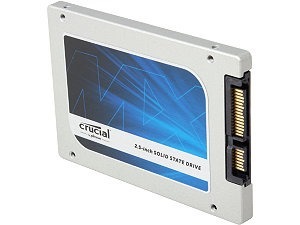 I wanted one that I had at least heard of, so drives from Samsung, Crucial, or Kingston would have been fine. One last part I found necessary was a EZ-Connect kit that I picked up from Microcenter the last time I was in one of their stores. This kit has the cables to connect from USB 2.0 to SATA and IDE drives, as well as providing a power cable. This allowed me to hook up the new drive to the laptop via USB, and copy the contents of the existing hard drive to the new drive (using Acronis True Image software, which came with the kit or the SSD). It was all very straight forward. After I copied/cloned the drive, I powered down the laptop and swapped out the old drive for the new drive. The Lenovo was pretty simple to open and the hard drive compartment was clearly labeled. I then booted up the laptop using the new drive. That’s better than twice as fast for every measure!! Wow. I also checked out the Windows Experience Index (Windows 7) and the “Disk data transfer rate” went from a score of 5.7 to 7.9! With this kind of improvement, I expect this laptop will be very usable for at least another couple of years. About this time last spring, I wrote how I was going to start Living without a laptop. I had just switched jobs and had to turn in a good work laptop, which was replaced by a desktop at my new job. After living and working like this for a year, I have finally caved in and ordered a laptop for work. So how did I get here? 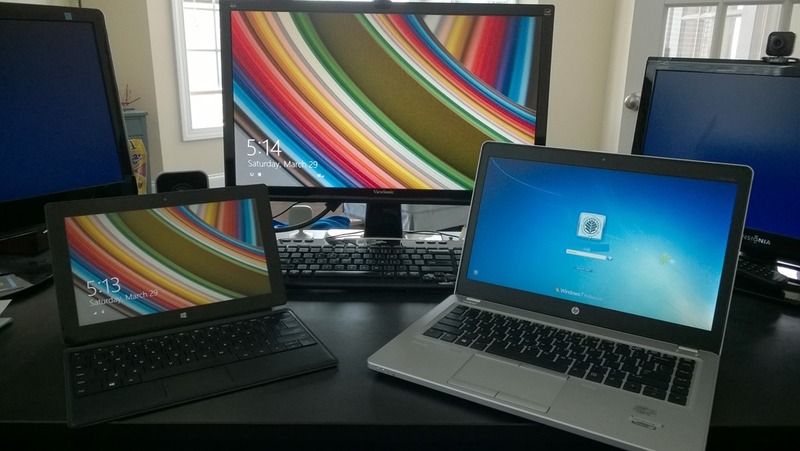 Well, for the last year my main computing devices have been: an HP desktop (z400) at work, a custom built AMD desktop at home, and an original Surface RT tablet. Whenever I was away from my desk at work, I could use my Surface to keep notes (OneNote – awesome) and also keep up with my Outlook. I was able to do this because I had my Surface connected to the secure Wi-Fi network at the office. I also had the option of using Remote Desktop to connect to my office workstation if I needed to do something that WindowsRT couldn’t do. A lot of this functionality hinged on me being able to connect to the office network. This all worked until an update to my SurfaceRT in January killed my ability to do just that. Our private wireless network at the office requires that I enter my username and password, which it still prompts me for after the update, but it also prompts me for a network key which we don’t have and the Surface didn’t require before. Since there isn’t a big group of us Surface RT users, I fell into the category of unsupported (on your own) users at work. I also found another scenario where the Surface isn’t a laptop replacement – trying to use the keyboard without a proper desk/table available. I first ran into this when I attended a conference in 2012. The conference was set up with rows of chairs, but no tables in front of them. I had the choice of either using the on screen keyboard to take notes (which isn’t a great experience for more than brief notes) or using the keyboard and trying to balance it on my lap. My typing would often make the Surface move/teeter, and the kick stand didn’t make the viewing angle of the screen good, nor did it feel good as it cut into the tops of legs. This isn’t the only place where a table wasn’t available. Turns out I missed being able to use the keyboard while seated on our couch in front of the TV. Most people will say that tablets are great for being in front of the TV. Tablets are great for consuming things, like catching up on Twitter or Facebook, or reading blogs, but I’m just not that productive doing email or development without my keyboard. While all of this was happening with my mobile options, the game was also changing when it came to my need for a powerful desktop. One of the reasons I needed this computing power was so I could run a SharePoint development environment. This included running not only Visual Studio, but also the SharePoint server software which takes gobs of memory and storage. So how did this requirement change? 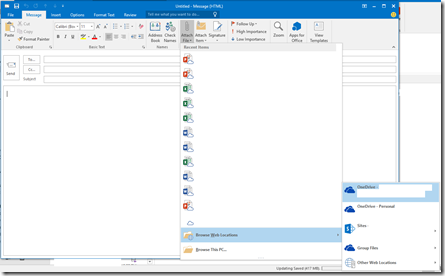 Two new changes we adopted – moving to Office 365 and using Azure as part of our MSDN subscriptions. First, we’re moving to SharePoint Online and won’t have SharePoint on premise in a few months. This changes our development to be focused on more wide stream web technologies which don’t require that you develop on a SharePoint server. After thinking through all of this, I decided to request an Ultrabook laptop for work. I got a nice little HP Elitebook Folio 9470m, which is pretty slim/small, making it a good note taking device for meetings, but I can also use it to run Outlook and all of our remote access options work. I also have a docking station and large monitors on my desk, so when I’m there I’m not limited to the smallish screen of the laptop. I’m still using my home desktop when I’m telecommuting, but if I need to catch up on email, I now have the option of doing so from my couch. 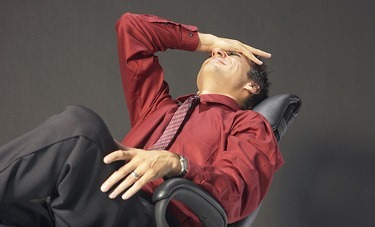 In the last couple of weeks, we had to move a custom application from one SharePoint 2010 farm to another. We tested our migration method by moving it to a test farm first, which highlighted a few things that we needed to change, but it was otherwise successful. However, when we moved it to the new production farm, we ran into an error that we hadn’t seen in test. It occurred when we opened an InfoPath form that was calling the User Profile web service. The error presented to the user was a dialog with this: “An entry has been added to the Windows event log of the server. Log ID:7893” . Scouring the internet, I found tips that suggested the identity of the application pool for the “SharePoint Web Services Root” should be something other than localservice. However, I then found a blog post by Spence Harbar stating that it was ok to be localservice. I also found a tip that suggested increasing the timeout limits on the InfoPath Forms Services. I tried that without luck. After discounting everything I found online, I went back to my list of differences between our test environment and our production environment. After hours of combing through service account permissions both in SharePoint and SQL, I finally decided to check the HOSTS file on the SharePoint servers. Turns out the fix for us was to add an entry to the hosts file that pointed the SharePoint URL to 127.0.0.1 (the loopback address). We had already configured this for the other three SharePoint web application we had launched. We had neglected to do this with our new web application, which was only recently put into production. First – do everything you can to make your test environment mirror your production environment. I thought our environments were pretty well matched, including having a separate web front end from the app server, a separate SQL server, and even a separate FAST server in test. The one thing we don’t have is a load balancer with multiple WFEs. 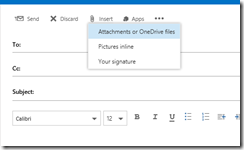 Second – document your processes. We should have had a checklist to refer to when creating the new web application. I spoke this weekend at the Carolina Code Camp on the CPCC campus here in Charlotte and my topic was an Intro to SharePoint Development for .NET Developers (those that have no knowledge of SharePoint). It’s a topic that I’ve been talking about often with new and experienced devs alike, who want to know everything from how to set up a development environment to how to start coding and what can SharePoint do. From my experience, a lot of the intro presentations given focus on writing those first lines of code, which is a great topic – but it’s about two or three steps away from the absolute beginning. 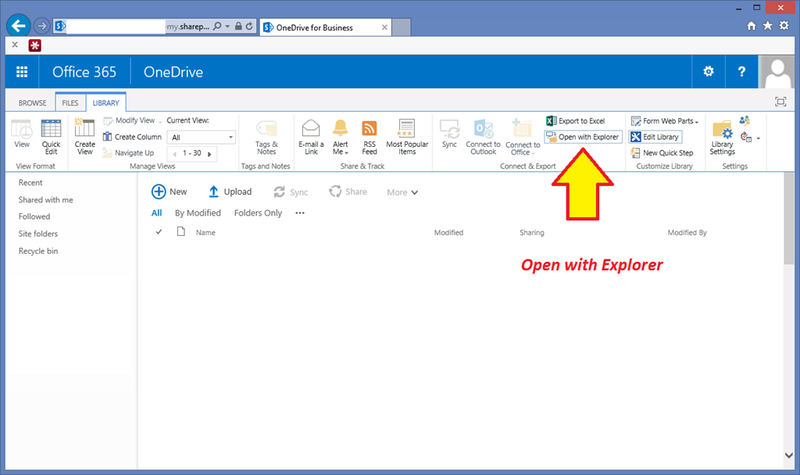 I spoke a little about SharePoint’s version history, my thoughts on setting up an environment, as well as the tools that you use before you open Visual Studio. I ended with some Visual Studio info and I was hoping to get into code, but I was only able to get through my slides before my hour was up. It was actually good that I didn’t need to do live demos, because I didn’t have access to any of my normal virtual machines that I use for presentations (see my previous post for details: http://www.kellydjones.com/archive/2013/04/21/152760.aspx). I was actually using my Surface RT tablet for the presentation and it worked great. I bought the special mini HDMI to VGA adapter from the Microsoft store here in Charlotte the previous weekend. I went with the VGA adapter because I knew they had VGA connections at the campsite ( ) but I wasn’t sure that they had HDMI. I was going to do a demo using CloudShare based VMs, but I had trouble getting onto their WiFi and as I said, I didn’t have time for it anyway. After my presentation, which was the first one of the day for the SharePoint track (one of five tracks with 60 sessions ! ), I was able to relax and enjoy the other presentations. I got to attend four: an Intro to 2013 Apps Dev, a 2013 SP Designer New Features, an Agile Dev with TFS, and 2013 Search Driven UI session. All of them very good, and all very relevant to what’s going on at the office. All of those speakers did a great job. Due to my job change, I'm getting the "opportunity" to re-evaluate my computing needs at home. This is because I've had a company laptop since I first started consulting back in 2004. Most recently, I had an awesome laptop from work (Cardinal Solutions). It was a Dell Precision M6400 (I think) with an Intel Core i7 processor, 16GB RAM, a separate video card, two SSDs for storage, and a 15in screen with a high resolution (I think it was 1080p or better). All of this power was needed when I was running SharePoint Virtual Machines (or Outlook – for those of you using Outlook, you know what I mean). Just an awesomely powerful computer. It was my primary computer both at work and at home, since I'd use it for work/home email, web browsing, etc. So, once I knew I'd be returning it, I started thinking about its replacement. I already had a desktop at my new job and I might request a laptop, but I knew I wasn't going to be using the work laptop as much as I had the other one. First things first, I thought about what I already had at home. I have a Windows server (custom built using typical workstation hardware) that I use for general file storage, running Virtual Machines with Hyper-V, media server (for the Xbox's and TVs in the house), and some network services (DNS, DHCP). I built this box to have lots of storage with moderate CPU power. It has five hard drives in it, that total 7TB of storage (but with RAID mirroring, I think the available storage is 4 TB). It also has several strong, loud fans in it, but since this sits in a closet I don't have to hear it. We also have a Mac Mini (early 2009) that is my wife's primary computer. It is in the kitchen at her desk and she uses it for email/web browsing, plus tracking our finances in Quicken. We also have over a decade's worth of photos and music on it (iPhoto and iTunes). We're often both using computers at the same time, so sharing a computer wouldn't work. We have a Lenovo Ideapad (Pentium B940) that we bought two years ago. It was going to be my main computer at home, but the kids soon discovered how cool it was and I found the screen resolution small (720p) when compared to my work laptop. The kids use it a lot, so my daughter was especially fearful once I explained that I had to return my work laptop. Again, sharing it would not work well. 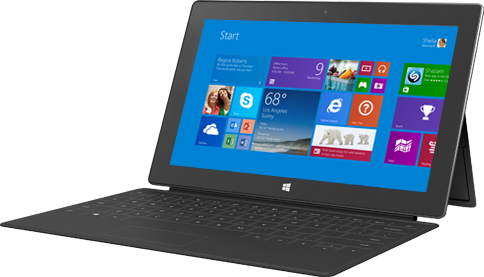 One other piece of hardware we have is a Microsoft Surface RT. It's mine, but I let the kids use it every now and then. I take it to work daily and use it in meetings, which it is great for. The small size, the touch screen, the type cover – great. I'm a heavy OneNote user, so I have it on the Surface as well as my work laptop and the notes sync between the two. Since I have the Surface, I got to wondering if I really still needed a powerful mobile computer (laptop). As a consultant, I often needed to spin up demos on Virtual Machines, but I don't need to do that anymore. Nor do I need to have a good computer ready for when the client doesn't have a machine for me. SO, after much thinking I decided to build a desktop computer for my own use. I built a machine that has much more power than if I had spent the same amount of money on a laptop. I also get the ability to upgrade any piece of it I need to over the next few years, pretty much the opposite of a laptop (I only ever upgraded RAM and hard drives in a laptop). One of my design goals was to have a quiet computer, since it'll be sitting in my office and not in a closet. 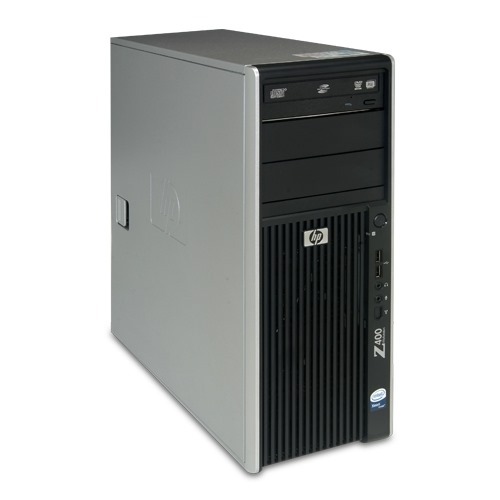 I also wanted a moderately powerful computer that I could upgrade, so I went middle of the road on CPU, but picked a newer design/socket so I can still get upgrades later. The case and power supply were a little more than I would normally pay, but that was the trade off to get a quiet computer – the case has sound dampening styrofoam and the power supply is highly energy efficient (so I don't need loud fans running to cool it down). When it came to the processor, I am probably just sentimental about AMD. I do think you get more power per dollar from them, on the low end. If my budget was larger, I would have gone with an Intel Core i7. I made a huge trade off when it came to storage – only 120GB (our low end Lenovo laptop has 500GB), but I wanted the speed of a solid state drive (SSD). Not just any SSD, but these new Samsung 840 series drives, that have incredible IOP numbers. One of the first upgrades I'll do is probably add something like a 2 or 3TB standard hard drive, but for the OS, I wanted an SSD. I ordered almost everything from Newegg and put it all together a couple of days ago. So far, I like it. I may miss having a laptop in the future, but for now I'm good. This past March was a big one for me professionally. I spoke at two SharePoint Saturdays, Charlotte and Richmond, I had a huge migration project that was completed (mostly) which involved late nights and one weekend. To cap it all off, I accepted a full time position with the client I've been consulting with for sixteen months – the Carolinas HealthCare System. I started this week as their SharePoint Architect. First, I want to talk about my experience speaking at SharePoint Saturday – in short, it was great. I want to publically thank both organizations for allowing me to speak and being great hosts. I've done presentations before for work and I spoke once before at a Microsoft hosted mini conference (wow, that must have been three or four years ago and it was about IE8), but this was my first time speaking at a community hosted event/conference. I really appreciated how well organized they were the day of the conference. I enjoyed my experience so much that I volunteered to speak at another event coming up, the Carolina Code Camp here in Charlotte in early May. Probably the biggest accomplishment for March was the SharePoint migration project at work. We moved several hundred gigs of data, spread out over 4500+ sites/subsites. We did some reorganization, splitting up one huge site collection into 330, while moving another 50 site collections. We also applied branding and turned on the SharePoint 2010 user interface for the first time. (We had migrated from 2007 to 2010 last year, but left the 2007 UI turned on) We also trained several hundred site owners and introduced strong governance. We have a lot of work to do, but we're off to great start. 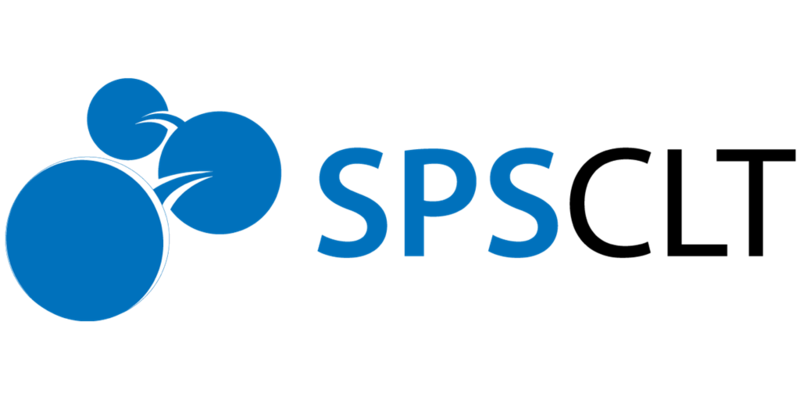 Given how much I've enjoyed working as a consultant for Carolinas HealthCare System (CHS), I decided to accept their offer for a full time position as a SharePoint Architect. We have executive support, a crucial element, which has allowed us to build both a great infrastructure and a great team. I'm particularly excited about the opportunity to help define how things are going to work, technically in the SharePoint environment as well as the business processes that we do as a team. Things like how we process incoming requests for solutions, what services we're going to offer, plus what tools we're going to build to help our forty thousand plus users solve problems in their workday. One other thing I should say, in the context of the new job. I'm leaving behind a great organization – Cardinal Solutions. I've been a consultant with them for a few years now and they've been very good to me and I will continue to refer anyone looking for a consulting gig to Cardinal. This career move for me was all about the opportunity I was going to and was nothing negative about Cardinal.